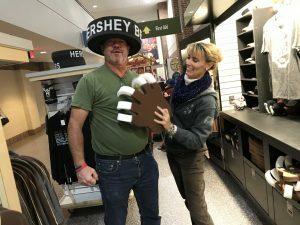 Veteran, Steve Terwilliger, Scores a Win to Connect Roots for Boots with the Hershey Bears! 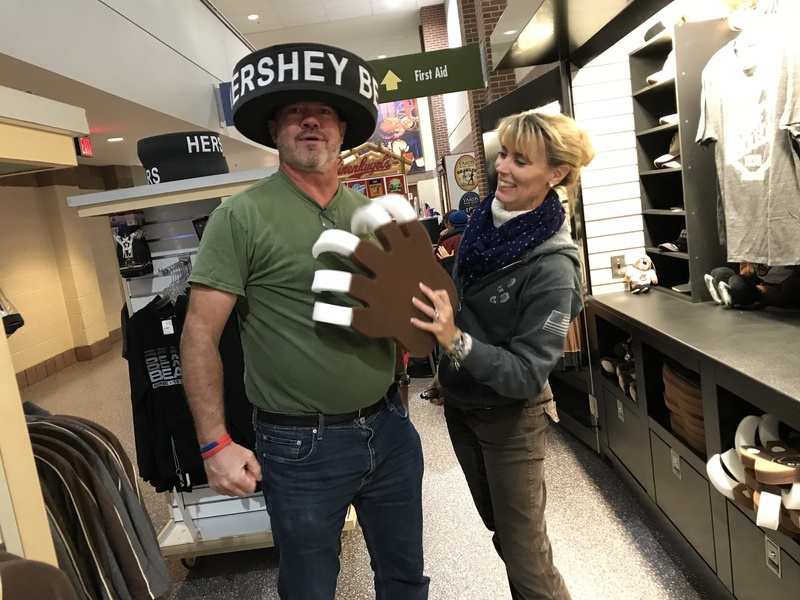 One of our favorite veterans (above), Steve Terwilliger, worked on our behalf to score us a table at a Bears’ game on Veterans Day 2017! We had a great time and raised over $800 in just a few short hours. Thank you to the Hershey Bears organization for inviting us out! 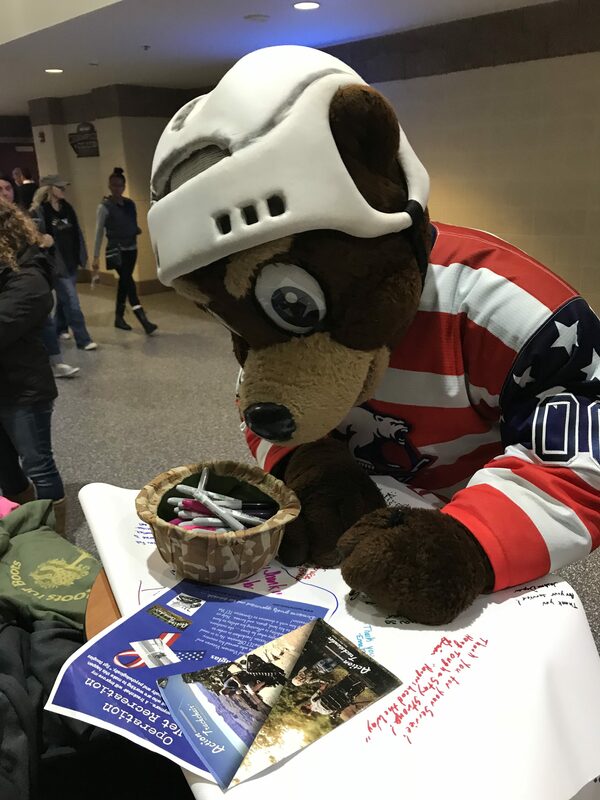 We loved meeting and talking with everyone, especially Coco the Bear who signed Sgt Lewis Douglas’s banner – to be delivered to him the next day with his new all terrain action track chair!